Hello and welcome to my synthesizer page! This page will catalogue my synth related music production gear. The list isn't complete yet, but it's growing! I plan to write a short review for each item going over their respective specifications, strengths, and weaknesses. Check back soon to see what's changed! 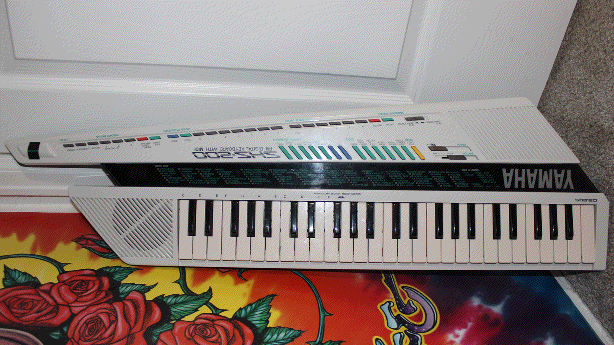 Yamaha SHS-200 Digital FM Keyboard - "Sholky II"
A midi capable FM-Synth keytar with 49 mini keys and 49 built-in patches and rhythms. A multitimbral 4-operator FM sound module with 2 custom patch banks and 5 built-in patch banks. 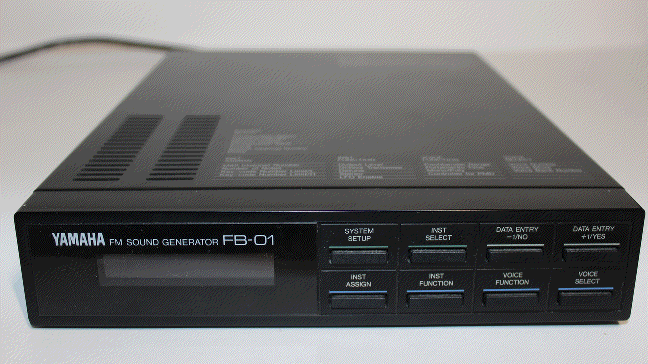 A "sample playback synthesizer" with 2 MB expandable internal memory, SCSI drive/floppy disk support, and comprehensive tone parameters. 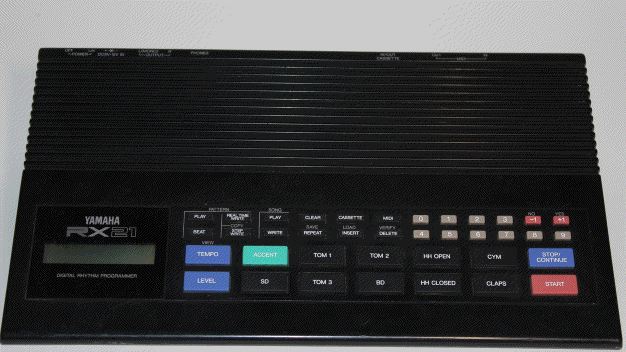 An entry level drum machine with 44 preset patterns as well as pattern recording capabilities.